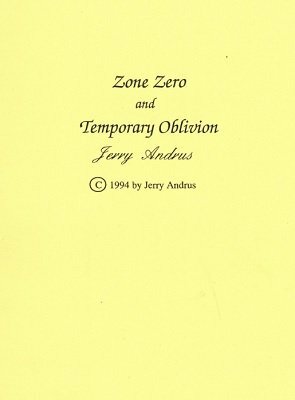 You will learn the Master Move and all movements of the "Zone Zero" and "Temporary Oblivion" routines. The purpose of the Master Move is a method of showing a flat object on both sides while having a ball or other object concealed at the same time. One quality all of Jerry's publications have is an abundance of very good illustrations. Here you are getting 60 illustrations. 1st edition 1994, 12 pages.